Intermingle with the Great Old Ones, descending deeper into twilight realms best left forgotten as you face some of the most notorious creatures from H.P. Lovecraft's stories! 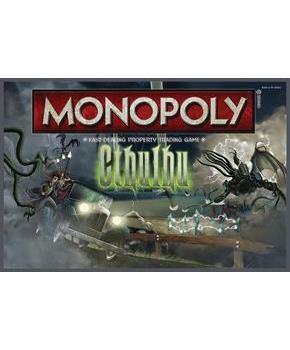 In this custom illustrated game of Monopoly, you will use "insanity points" to buy, sell and trade monsters and elder gods from the mythos. 6 collectible tokens represent the mythos. A great gift for H.P. Lovecraft fans! This item can only be shipped to North America - No exceptions! Intermingle with the Great Old Ones, descending deeper into twilight realms best left forgotten as you face some of the most notorious creatures from H.P. Lovecraft's stories! 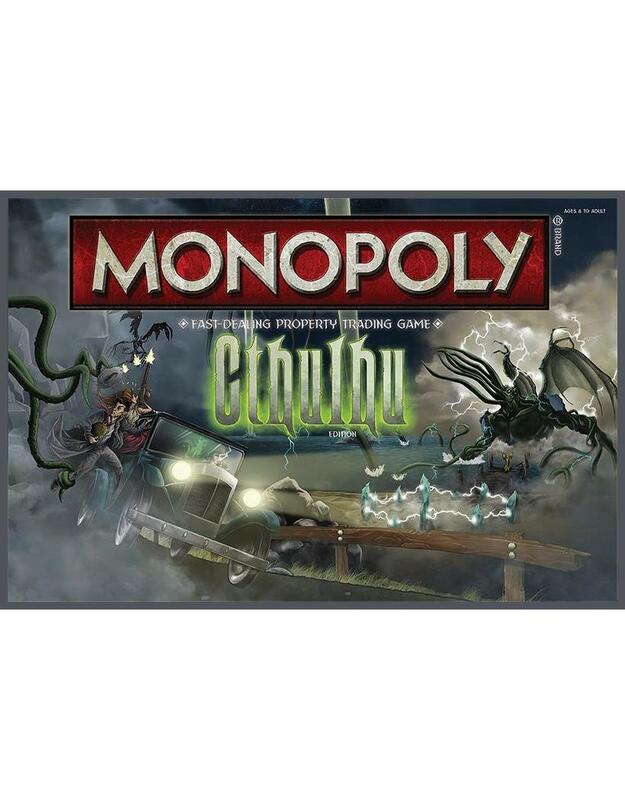 In this custom illustrated game of Monopoly, you will use "insanity points" to buy, sell and trade monsters and elder gods from the mythos. 6 collectible tokens represent the mythos. A great gift for H.P. Lovecraft fans!